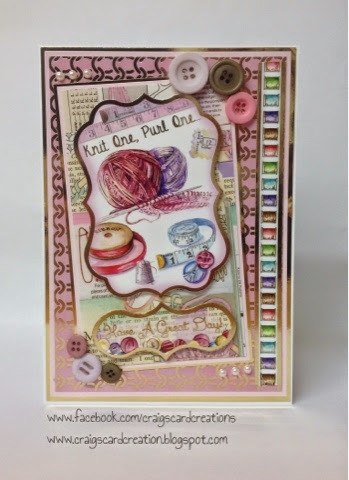 Crafting With Craig: "Knitting Galore" A5 Hunkydory card. A5 card blank - Craftwork Cards. Coloured buttons - Own stash. Lilac & black 5mm pearls. 25mm satin pink ribbon - American Crafts. 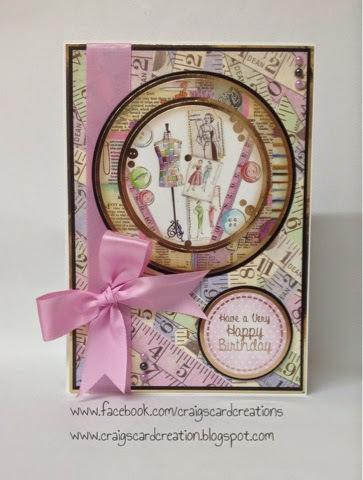 2 sized circle dies - Tonic Studios. Craig as usual you have produced fabulous cards, will have to go via Carnoustie on our way down to Easthaven and stop at the cafe that sells your cards.